Is The Name Of Our Hero Benoit Mandelbrot Being Used To Market Ultra Fractal? It’s been more than three years now since the original Benoit Mandelbrot Fractal Art Contest made it’s debut. For those of you who haven’t been following these things, we’ve criticized the Contest over a number of things but primarily for the reason that the contest favors art work made with the program Ultra Fractal rather than presenting a wide range of Fractal Art. This was a big deal to me because the Contest has a very high profile in online Fractal Art community as well as with the general public and therefore will go along way towards shaping people’s impression of Fractal Art as well as the future direction of it. The Contest websites for all three Contests (2006, 2007, 2009) say that “We are choosing art that represents our art form to a world that largely does not know it—or if they do know it, they know only garish, 70s-style imagery.” It’s this official purpose as well as it’s actual effect that initially caught my interest. I’m interested in the ongoing evolution and popular impression of the Fractal Art genre. Like I said, it’s been three years, or at least three contests now since it all began. When it initially started many of our criticisms here at Orbit Trap were met with the response that the Contest was new and just starting out. For those reasons, valid or not, I restrained myself from making what is probably the most obvious observation about the Benoit Mandelbrot Fractal Art Contests, that being that it’s all about promoting Ultra Fractal as the apex of Fractal Art and subsequently, the only program of choice for serious, professional artists. Since then, the only significant change to the contest has been the removal of the judges own, self-selected (and Ultra Fractal made) works from the exhibition, which totaled close to 40% of the actual exhibit. We were told in the past that it’s inclusion was at the request of the previous sponsors, but all of the previous sponsors from both years are here this year and it seems that none of them have requested that. It mysteriously appeared and it mysteriously left. It’s all a different matter this year because the “bugs” in the Contest’s design that we criticized when it was new have now become intentional features in this 2009 “final release” of what is now likely to be an established, annual institution in the Fractal Art world. In other words, the jury is no longer out and it’s time to reach a verdict, which is: The Benoit Mandelbrot Fractal Art Contest was intentionally designed to be a platform from which to promote Ultra Fractal. What bothers me most however, is it’s use of the name and reputation of Benoit Mandelbrot for such a publicity stunt. The name Benoit Mandelbrot is one that all fractal artists will identify with and recognize. His monumental discoveries in the realm of fractal mathematics are surely acknowledged as the very foundations of our bold new art form, Fractal Art. It’s precisely this universal and foundational aspect to Benoit Mandelbrot’s reputation that the contest takes advantage of to present its art exhibiton to the public as the Olympics of Fractal Art. The name and presence of Benoit Mandelbrot gets people’s attention —and respect. It’s no great stretch of the imagination to suggest that that’s precisely why he was asked to give his name to the contest. Who better to represent the face of fractals and Fractal Art than Benoit Mandelbrot himself? In a fractal art contest, especially one which claims to be an exhibition that will introduce the public to the genre , one would expect a more universal theme that reflects many styles and methods in fractal art, just as Benoit Mandelbrot is an icon for all of the fractal world in general. The organizers said, “We want to show diversity of fractal styles” but they have never done that. I think it’s fair to say that after three consecutive contests with the same rules, that they never will and also that they have never intended to exhibit any diversity in Fractal Art. All they’ve presented is a diverse number of Ultra Fractal artists. It stands to reason that the extremely high visibility that Ultra Fractal receives by being the program that produces the majority of the winning entries will attract interest in it and likely increase the sales of it. Isn’t this why companies sponsor contests and similar high profile public events, or why advertisers compete for exposure at these venues? Anyone who knows anything about marketing a product can see what a plum position Ultra Fractal has been placed in. And it’s not even a paying sponsor! The exhibition of art work by judges who where also fractal artists has had the effect of insuring that Ultra Fractal received the highest visibility and status in the contest. What could be a better advertisement for any product or tool in an art contest than to show everyone that all the judges use it? The organization and judging of the contest is so closely associated with people who stand to gain from an increase in Ultra Fractal’s popularity that it begs the question of whether the contest was orchestrated entirely to promote Ultra Fractal by increasing its visibility and status in the eyes of new fractal artists and the public as a whole. All of that has the potential to translate into more sales of the program ($79 – $139/license) as well as enrollment of students in their fee-based online courses ($25/student). These are not merely academic matters of artistic style or differences of opinion as to “what is Fractal Art?”, they are commercial interests, business interests, all of which in an online environment needs only advertising and exposure to grow. Should I go on? They have a new judge this year. Guess who? It’s the author and owner of Ultra Fractal. I guess the success of previous years shows that they don’t have to be subtle anymore. If you’ve already got the King, Queen, and Jack of Ultra Fractal in your line-up, what’s the big deal with adding the Ace? Sorry, but I wasn’t born yesterday. But some people say that the fractal world is too small to find qualified judges who aren’t associated with Ultra Fractal in some way, either commercially or personally. Well, I guess that is quite true, but only if the fractal “world” you’re talking about is made up only of your close friends and professional associates. There really is more to Fractal Art than Ultra Fractal. But you’ll only see that by paying a visit to Google and searching on “Fractal Art”. By attending the Benoit Mandelbrot Fractal Art Contest you won’t see much more than the heavily layered, “non-garish”, Ultra Fractal school of Fractal Art. Benoit Mandelbrot has not endorsed Ultra Fractal or any other piece of fractal software, but the way the Benoit Mandelbrot Fractal Art Contests are being run that’s exactly what his name and the good reputation that goes with it suggests and is being used for. Benoit Mandelbrot is what fractals are all about; the contest bearing his name naturally gives the impression that Ultra Fractal is what Fractal Art is all about. It would all be different however, if the contest had selected a neutral panel of judges and had not placed any restrictions on what type of fractal imagery could be submitted. This could have been done (in 2006, or done in 2007, or done in 2009…) by chosing someone with art credentials who’s an outsider to the fractal art world, or at the very least, a wider range of judges who’s demonstrated preferences represent an authentic sampling of fractal art styles and methods. Had the Benoit Mandelbrot Fractal Art Contests been run and judged by fanatical Fractinct people and selected largely Fractint art work, I would have the same objections, although the commercial aspect to those objections would likely not exist as they do with a proprietary, closed-source program like Ultra Fractal. This has all been said before here on Orbit Trap, but since the organizers of the Contest are now sticking to the Contest’s original design and make up of the judging panel, I can only assume –the organizers like it the way it is which is the way it always was. This third iteration of the Contest is a confirmation of the previous two. Part of the problem, I suspect (as I have suspected from the very beginning) is that the contest is really a one-man show. One man set the rules; one man chose the judges; and one man did it all to promote Ultra Fractal as the tool of choice for professional artists. That man is not Benoit Mandelbrot. 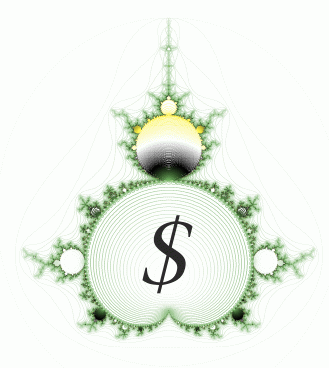 ← Has the 2009 Benoit Mandelbrot Fractal Art Contest Cleaned Up Its Act?